Columbus, OH – November 11, 2016: Play begins as the USMNT host Mexico in the World Cup Qualifer Hex. Photo by John Dorton. 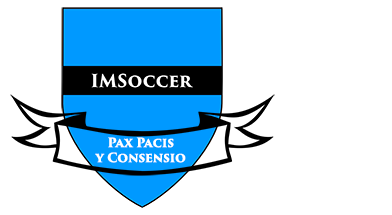 LOS ANGELES – Whether you want to call it soccer, football, futbol or whatever, the world’s game has always been the most political of sports, in large part due to the international rivalries the game nurtures. One of the most longstanding and often bitter of those rivalries is the one between the United States and Mexico. The two CONCACAF powers are set to meet again this Friday, in an important World Cup qualifier in Columbus, Ohio. Coming as it does, so quickly on the heels of a U.S. election in which Donald Trump swept to office, largely on the back of an anti-immigrant, anti-Hispanic, and specifically, anti-Mexican sentiment, it’s very difficult not to view Friday night’s game through the prism of U.S. presidential politics. One of the reasons the U.S. Soccer Federation prefers to stage matches against Mexico in Columbus is that it’s one of the few venues where the U.S. team benefits from a home crowd atmosphere. There’s also the good dos y cero juju that comes from having enjoyed a string of four consecutive 2-0 wins at Mapfre Stadium. But it’s true that in much of the U.S., Mexico seems more like the home team. The large immigrant population from south of the border has cared about soccer for a lot longer. Mass crowds of American soccer fans really only starting flocking to games in the last decade. Even the 2011 Gold Cup final at the Pasadena Rose Bowl saw a 90 percent pro-Mexican crowd. At times, that game in particular, tensions between U.S. and El Tri supporters boil over into open hostility. But unlike in much of the world, where such hostilities between rival soccer nations or soccer clubs are a constant, tensions between U.S. and Mexican fans tend to subside soon after the final whistle. Alan Gordon (L) and Giovani Dos Santos (R) say a warm “hello” prior to KO in Columbus, OH on November 11, 2016. Photo by Brad Smith. The soccer community in the U.S. is still small enough that many U.S. and Mexican fans support the same club teams and hangout with one another; even gathering to watch matches together. In short, despite a few nasty incidents here and there, it’s a largely good-natured rivalry off the pitch, at least. The election of Donald Trump however, has sent shockwaves across the world and the at times openly racist tone of his campaign, threatens to cast its shadow across Friday’s match. Trump won Ohio by nearly nine points for one thing. A large section of the crowd will be comprised of the kind of people he labeled as “rapists” and “criminals,” for another. It’s a huge potential powder keg that in the heat of a fiercely contested World Cup qualifier has the potential to boil over on the pitch, but more worryingly, in the stands. The American Outlaws, the main supporters group for the USMNT has a reputation for taking things too far in the past when it comes to the rivalry with Mexico. But AO has gone as far as to issue a code of conduct to members ahead of Friday’s game. Mexico fans meanwhile, also have a reputation for unsavory behavior, whether it be hurling bottles or persisting with a certain homophobic chant, despite being admonished by CONCACAF, Mexican political pundits, and their own players to abandon it. In the midst of all of this, a soccer game will be played between the two most powerful teams in the region. Both U.S. coach Jurgen Klinsmann and Mexico boss Juan Carlos Osorio have called up the best possible lineup of players available to them. The match is both teams’ opener in the crucial Hexagonal round of World Cup qualifying. Passions are bound to run hot, on the field and in the stands. The soccer community by its nature is one of the most multi-cultural in the United States. But a few beers in the parking lot can lower most people’s standard for what acceptable behavior is. However, in a time where the nation seems as divided as its been since the Civil War, there is a hope that the divisiveness will not boil over into the kind of ugliness or cruel rhetoric we have been witness to in this election. One of the greatest aspects of sport, and soccer in particular, is its ability to bring people together. No matter how deep our passions are as fans of our team, we mustn’t allow Friday night’s game to drive us further apart than we already seem to be.